TORONTO — The U.S. ambassador to Canada said Saturday that her country was "deeply concerned" about China's "unlawful" detention of two Canadians. FILE - U.S. Ambassador to Canada Kelly Craft is pictured in the Eisenhower Executive Office Building on the White House grounds, Sept. 26, 2017, in Washington. Ambassador Kelly Craft said in a statement to The Associated Press the arrests of ex-diplomat Michael Kovrig and entrepreneur Michael Spavor were "unacceptable" and urged China to end the arbitrary detentions. They were her first public comments on the cases. Meng is the chief financial officer of the Chinese tech giant Huawei and the daughter of its founder. 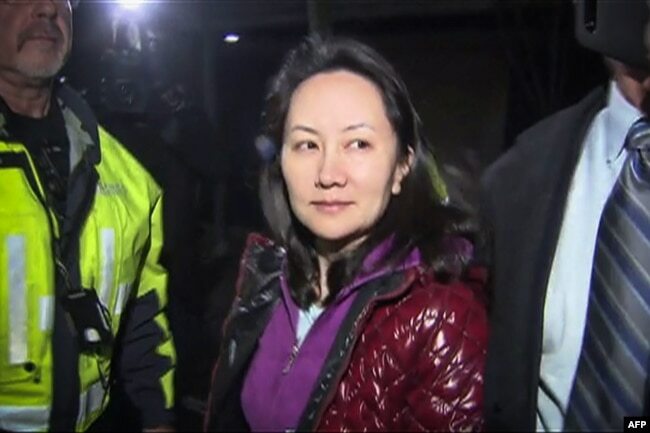 The U.S. wants her extradited to face charges that she committed fraud by misleading banks about Huawei's business dealings in Iran. FILE - Huawei Technologies Chief Financial Officer Meng Wanzhou is pictured as she exits the court registry following a bail hearing at British Columbia Superior Court in Vancouver, Dec. 11, 2018. 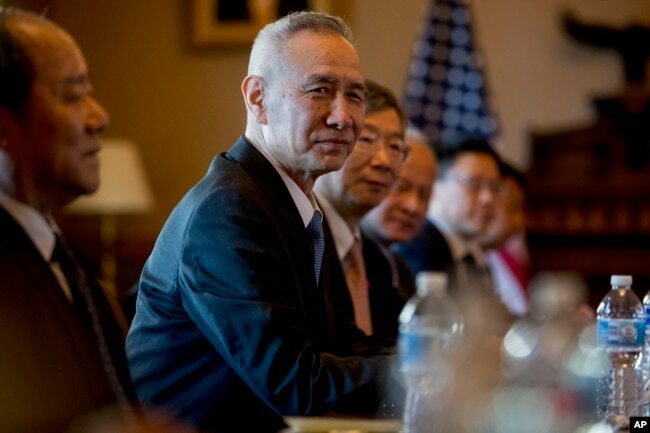 FILE - Chinese Vice Premier Liu He, center, accompanied by other Chinese officials, begins talks with U.S. Trade Representative Robert Lighthizer at the Executive Office Building on the White House Complex, Jan. 30, 2019. "The next time the U.S. asks, Canada will be hard of hearing," Bothwell said. "Trouble with Trump and company is that they are entirely transactional. They don't think ahead. And in this case, Trump's own words will probably be enough to get the U.S. extradition request denied."